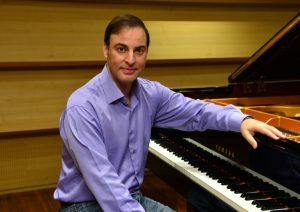 Aviram Reichert—acclaimed for his deeply intelligent interpretations, phenomenal technique, and ravishing tone—won the bronze medal at the Tenth Van Cliburn International Piano Competition in 1997, after having won several major competitions in Asia, France, and Germany. 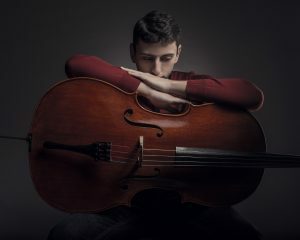 Mr. Reichert performed as soloist with the leading orchestras in his native country, Israel, including the Israel Philharmonic, Haifa Symphony, Israel Chamber Orchestra, and Jerusalem Symphony. His prize-winning participation in competitions in Japan and Korea brought him numerous concert engagements in Asia where he has been earning immense applause for 20 years, performing with the Tokyo Symphony, Tokyo Philharmonic, NHK Symphony, KBS, Korean Symphony Orchestra, and Daegu and Suwan Symphony Orchestras, to name a few. He has also performed with the National Symphony of the Dominican Republic, all the major orchestras in South Africa, and numerous orchestras in the United States. Conductors he has worked with include Sergiu Commissiona, James Conlon, Peter Bay, James De Priest, Leslie Dunner, Miguel Harth-Bedoya, David Lockington, Ken-ichiro Kobayashi, Emmanuel Krivine, Meir Minsky, Mendi Rodan, Leon Botstein, Kevin Rhodes, Barry Wordsworth, Guillermo Figueroa, Michele Carulli, and Kim Daejin. Described as “a big player with all the tension of a coiled spring suddenly unsprung….he has heft and he has poetry…,” in recital, Mr. Reichert has performed throughout the United States, Israel, South Africa, Asia, and Europe, where an appearance at the Herkules-Saal in Munich elicited an enthusiastic ovation and high critical praise. Festival performances include the Ruhr and Epinal Music, Tokyo Summer, Bear Valley Music, Steamboat Springs, Ravinia, Fontana, and Gilmore Keyboard Festivals. A fine chamber musician, he has collaborated with artists such as Anne Akiko Meyers, Maya Beiser, Guy Braunstein, Yuri Gandelsman, Vadim Gluzman, Dylana Jenson, Bill Purcell, Philippe Quint, Ron Selka, Chen Halevi, Song young Hoon, Mathieu Dufour, and Sejong Solosits. In addition to his busy performing career, Mr. Reichert is a sought-after teacher who is frequently invited to conduct master classes in Japan, Korea, South Africa, Israel, and the United States. From 2001–2008 he held the positions of associate professor of piano and artist-in-residence at Grand Valley State University in Grand Rapids, MI. He is currently serving as professor of piano at Seoul National University, College of Music, where more than 20 of his students have won major national and international awards.